Minnesota-based illustrator Josh Lynch has infused a level of cute into the Marvel universe, drawing portraits of dogs as different superheroes. Lynch put a lot of thought into which dog should portray which character and matched the personality and image of each for the best fit. Like this pug as Spider-Man. Or this English bulldog as the Hulk. 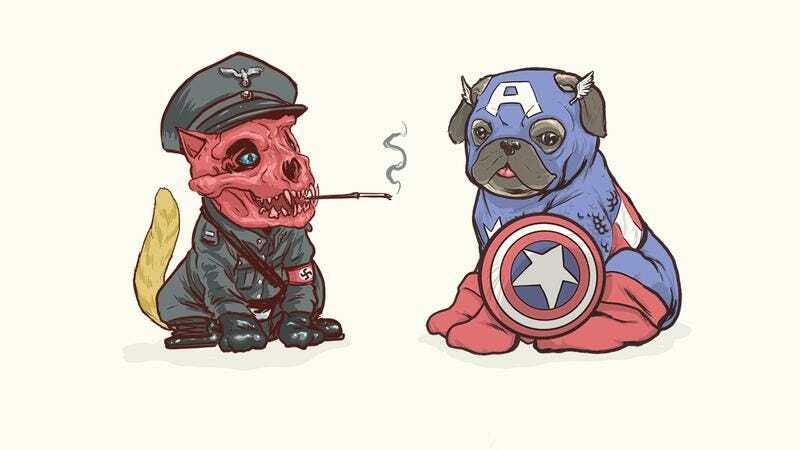 And these adorable pups as their superhero counterparts. Visit Lynch’s Behance page for the full gallery.